(and CityWalk every day) during 7 consecutive days. Expires within 7 consecutive days from the first day of use. NCLUDES EARLY PARK ADMISSION (5/01/16 - 6/19/18) Only 1 HOUR PRIOR TO PARK OPENING to Islands of Adventure for access into WWoHP - Hogsmeade. Ticket Allows unlimited Park-to-Park admission to US, IOA & WW for up to 7-days. Expires within 7 consecutive days from the first day of use. CityWalk unlimited club-to-club access during seven consecutive days. for up to 7-days. Expires within 7 consecutive days from the first day of use. CityWalk unlimited club-to-club access during 7 consecutive days. 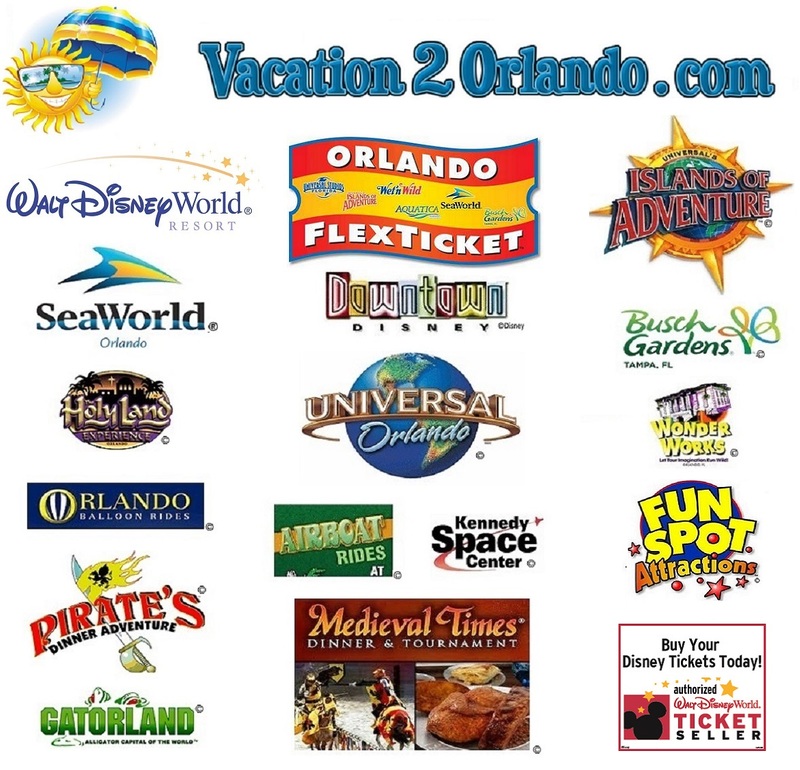 Entitles 1 guest admission to Universal Studios OR Islands of Adventure for one single day. DOES NOT ALLOW ACCESS TO THE NEW HARRY POTTER HOGWARTS EXPRESS TRAIN - PARK-TO-PARK NEEDED TO ACCESS TRAIN. Entitles 1 guest park to park admission to both Universal Studios & Islands of Adventure in one single day. Entitles 1 guest park to park admission to Universal Studios & Islands of Adventure on the same day for 2 days within 14 consecutive days of first use. Includes CityWalk unlimited club-to-club access during 14 consecutive days. for 3 days within 14 consecutive days of first use, one park visit per day. NO Park to Park access in the same day. DOES NOT ALLOW ACCESS TO THE NEW HARRY POTTER HOGWARTS EXPRESS TRAIN - PARK-TO-PARK NEEDED TO ACCESS TRAIN. Includes CityWalk unlimited club-to-club access during 14 consecutive days. Entitles 1 guest admission to Universal Studios & Islands of Adventure, one park per day, valid for 3 days. Includes 3 additional days to Wet'N Wild. Ticket valid for 14 consecutive days. NO Park to Park access in the same day. Includes CityWalk unlimited club-to-club access during 14 consecutive days. for 3 days within 14 consecutive days of first use. Includes CityWalk unlimited club-to-club access during 14 consecutive days. within 14 consecutive days. Includes CityWalk unlimited club-to-club access during 14 consecutive days. within 14 consecutive days of first use, one park visit per day. NO Park to Park access in the same day. DOES NOT ALLOW ACCESS TO THE NEW HARRY POTTER HOGWARTS EXPRESS TRAIN - PARK-TO-PARK NEEDED TO ACCESS TRAIN. Includes CityWalk unlimited club-to-club access during 14 consecutive days. Entitles 1 guest admission to Universal Studios & Islands of Adventure, one park per day, valid for 4 days. Includes additional days to Wet'N Wild. Ticket valid for 14 consecutive days. NO Park to Park access in the same day. Includes CityWalk unlimited club-to-club access during 14 consecutive days. for 4 days within 14 consecutive days of first use. Includes CityWalk unlimited club-to-club access during 14 consecutive days. for 4 days within 14 consecutive days. Also, includes 4 additional days to Wet'N Wild within 14 consecutive days. Includes CityWalk unlimited club-to-club access during 14 consecutive days. CityWalk, for up to 14 consecutive days unlimited use. Allows guest to visit all parks the same day. To receive full admission, ticket must be used before 12/18/18. City Walk for up to 14 consecutive days. + Includes FREE SHUTTLE SERVICE TO BUSH GARDENS. NOR ADMISSION TKTS. OTHER RESTRICTIONS APPLY. UP TO 3 OFFERS PER FAMILY. purchase. Includes All Day Dine. BLACK OUT DATES WILL APPLY. SeaWorld Orlando, Aquatica Orlando, Busch Gardens Tampa OR Adventure Island Tampa. May be used for same park or combination. Valid for one year from the date of purchase or 6 months after 1st use, whichever comes first. SeaWorld Orlando, Aquatica Orlando, Busch Gardens Tampa OR Adventure Island Tampa. Admission includes general parking during the 14 day validity period. Valid for unlimited visits to Banana Beach Buffet after 11 AM. Menu and prices subject to change without notice. Park admission is required but not included. only. Sharing and take-out is prohibited. Menu and prices are subject to change without notice. Child prices include kid's meals only. Park admission is required but not included. Not valid during separately ticketed events. Wristband is valid for unlimited visits to participating restaurants for one day only. Sharing and Take-out is prohibited. Menu and prices are subject to change without notice. Child prices include Kid's meals only. Park admission is required but not included. Entitles one guest admission to Aquatica for one single day within one year from date of purchase. Entitles one guest admission to Aquatica for one single week day (Monday through Friday). Available 3 days a week, Friday, Saturday & Sunday, 6pm showtime. For more information call 407.206.5102.
offers nor free drink coupons. A swashbuckling pirate's dinner show spectacle presented aboard an enormous fully-rigged pirates galleon. Enjoy your festive Pirate's Feast dinner while sailing on the seas of adventure. No Complimentary alcohol. and help us solve the crime! and more romance and gallanatry on stage than has ever been seen before! Treasure Tavern at Pirate's Dinner Show, Includes dinner & show. Prime Rib requires an extra charge. hand-tossed cheese and pepperoni pizza, salad and unlimited beer, wine, soda and dessert. Open all year around from 9am-5:30pm, 7 days a week including holidays. EAST LAKE ONLY - 1 HOUR SCENIC NATURE TOUR 17 PASSENGER AIRBOAT. RESERVATIONS REQUIRED 407.344.9550. Night airboat tours are seasonal. Times vary depending on group size, day light savings, weather and lake conditions. Reservations required, please call 407.239.3969. Arrive 20 minutes prior to reservation time. Must be at least 18 years old. One Day General Admission to the Crayola Experience Orlando. Children under 2 years old admitted at no charge. Children 15 and under must be escorted by an adult at all times. Valid for admission to your choice of game. Reservations ARE REQUIRED. Confirmation must be presented along with voucher at gate. Ages 8 and above. For Reservations or additional information call 407.278.1515. LIMOUSINE CHARACTER BREAKFAST AT DISNEY'S CONTEMPORARY RESORT IN A STAR STRETCHED LIMO. BREAKFAST INCLUDES FRESHLY COOKED BUFFET ACCOMPANIED BY SOME OF YOUR FAVORITE DISNEY CHARACTERS. and vendor attractions are not included. Family 4 pack - includes single day admissions for up to 4 guests, to Fun Spot America in Orlando or Kissimmee. Explore NASA at the Visitor Complex, bus tour, 2 IMAX 3 - D space films, Apollo/Saturn V Center, Launch Complex 39 and lunch with an Astronaut. must be 14 years of age or older. Mission participants under the age of 18 must be accompanied by an adult. Reservations Required by calling 866.737.5235. 1 DAY ADMISSION TO LEGOLAND FLORIDA. 2 DAY ADMISSION TO LEGOLAND FLORIDA within 9 days of first use. 1 DAY ADMISSION TO LEGOLAND FLORIDA AND WATER PARK. 2 DAY ADMISSION TO LEGOLAND FLORIDA AND WATER PARK. 2ND DAY VALID WITH 9 DAYS OF FIRST USE. Valid for one day admission to one of the following attractions and receive a free admission to the same attraction: Madame Tussauds Orlando, Sea Life Orlando or the Orlando Eye. One day admission to ONE of the following Merlin Orlando Attractions: Madame Tussauds, Sea Life, or the Orlando Eye. One day admission to TWO of the following Merlin Orlando Attractions: Madame Tussauds, Sea Life, or the Orlando Eye. 2nd visit must be used within 30 days of first use. and the Orlando Eye. Visit to other parks must be used within 30 days of first use. Orlando Tree Trek Adventure located on 7625 Sinclair Road, Kissimmee, FL 34747. Advance reservations encouraged. Height requirements apply. Valid for one day admission to Ripley's Believe It or Not! Guided tour of the Titanic Exhibition. Guided tour of the Titanic Exhibition, buy One Adult admission, receive One Child free admission. One free child per Paying Adult. she set to sail. For Reservations call 407.248.1166. Must be 18+ to gamble and 21+ to consume alcohol. Transportation pick up WG Villas Tuesday at 4:15 pm; WG Lakes Tuesday at 5:00 pm. April 3rd and May 26, 2018. 1 Day of unlimited admission to any Disney Parks (MK, EP, DHS, AK) No Options. 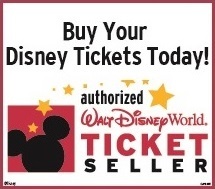 1 Day to any Disney Parks (MK, EP, DHS, AK) + 2 Options. 2 Days to any Disney Parks. (MK, EP, DHS, AK) No hopping, No Options. An indoor interactive theme park Located at Downtown Disney. This attraction houses some of the most cutting edge technology. One day admission to Disney's Blizzard Beach and/or DisneyTyphoon Lagoon on the same day. © 2019 Cheap 3 4 5 6 7 Day Night Orlando Hotel Resort Vacation Package. All Rights Reserved.